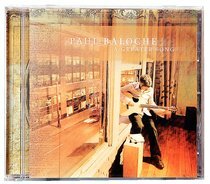 For the past decade, PAUL BALOCHE, one of the world's leading worship songwriters, has effectively bridged contemporary and modern worship styles with on top CCLI songs such as "Open the Eyes of My Heart," "Above All," and "All the Earth Will Sing Your Praises. Recorded LIVE at his home church of 16 years, this album connects Paul's friendship with a community of influential worship songwriters forming a collaboration of songs that will set the course for the church to worship for years to come. IF YOU LIKE: Graham Kendrick, Don Moen, Terry Macalmon, Tim Hughes .